Children the world over are often introduced to amphibians when they come across their first toad. Far bolder than typical frogs (and much easier to catch!) most take the indignity of capture by grubby little hands in stride, and leave all who encounter them with a favorable impression. With few exceptions, however, these droll, long-lived amphibians are relatively ignored by pet-keepers and zoos alike. After a lifetime of working with dozens of species, I find this hard to understand. Toads of many species (there are almost 600!) take well to captivity, and often become as responsive as do turtles. Nearly all feed readily from the hand, and they are frequently described as “charming” by owners. Many are active by day, while others are quick to discard their nocturnal ways. I still find American Toads and other common species as fascinating as Kihansi Spray Toads (which produce tiny toadlets rather than eggs! ), Blomberg’s Toads and the other rarities I’ve had the pleasure of knowing. Toads and frogs are classified in the order Anura, which contains 6,396 members. The world’s 588 toad species are placed in the family Bufonidae. Toad taxonomy is now in a state of flux, so I’ll mainly stick to common names here…please post below if you would like the Latin name for any species. Toads are native to every continent except Australia and Antarctica, and have adapted to rainforests, deserts, grasslands, meadows, temperate woodlands, cold mountain streams, farms, cloud forests, suburban gardens, city parks, coastal sand dunes and many more. Despite lacking native species, Australia hosts enormous populations of Marine or Cane Toads. Released to control cane beetles (a task at which they failed miserably! ), Marine Toads now threaten the future of animals ranging from insects to large monitors. The USA’s toads are incredibly diverse. Included among the 35-40 native species is one of the world’s smallest, the inch-long Oak Toad (one of our regular readers is now attempting to breed them; I’ll post updates). The massive Marine Toad is also a native, but is limited to the lower reaches of the Rio Grande in extreme southern Texas; the Florida population is introduced. Sharing the Marine Toad’s Texas range is the fabulously-bizarre Mexican Burrowing Toad (Rhinophryrinus dorsalis). Other US natives that deserve more attention include the gorgeous desert-dwelling Sonoran Green and Red-Spotted Toads, the minute Narrow-Mouthed Toads and the subterranean, gnome-like Spadefoots. 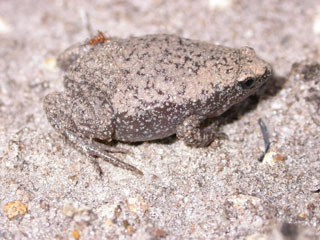 The toad family contains the only live-bearing Anurans (Nectophrynoides and Nimdaphrynoides spp.) One of these, the Kihansi Spray Toad, was declared extinct in the wild not long ago. I worked with wild-caught individuals at the Bronx Zoo, and was astonished at the size of the youngsters produced by the females, who themselves did not reach an inch in length! Happily, they thrived in captivity and have now been re-introduced to the wild; please see the article linked below. Vying with the 9-inch-long Marine Toad for the title of world’s largest species are the striking Blomberg’s and Smooth-Sided Toads. Species that “break the mold”, in terms of appearance and behavior, include the Argentine Flame-Bellied Toad, which rivals the colors of any Poison Frog, and the long-limbed Climbing Toad. I’ve had the good fortune to work with each of these, and many other unusual species; please post below for detailed care info. Your toad’s natural history will dictate the type of terrarium it requires; please post below for specific information. Terrariums for most should have large land areas and a water bowl. Sphagnum moss or, for planted terrariums, a mix of moss, dead leaves and topsoil, works well for forest and meadow adapted species. Toads may swallow substrate with their meals, although they rarely launch the suicidal lunges typical to many frogs. In order to limit the possibility of intestinal blockages gravel should be avoided. Tong or hand feeding is also useful. Toads seem not to require UVB radiation, although some keepers believe that low levels may benefit certain diurnal species; the Zoo Med 2.0 UVB Bulb would be a good choice for these. Temperatures for tropical species should range from 75-82 F. Toads from temperate regions fare best at 66-74 F. However, specific needs vary, especially regarding those native to deserts or rainforests; please post any questions below. A fluorescent light may provide enough heat – if not, try a 25 watt incandescent bulb or ceramic heater; these can dry out the substrate, so additional misting may become necessary. Humidity needs vary, but even desert dwellers should have access to a moist retreat and easily-exited water bowl. Toads have porous skin patches on the chest and elsewhere and will, therefore, absorb ammonia (released with their waste products) and other harmful chemicals. As ammonia is extremely lethal, strict attention must be paid to terrarium and water hygiene. Chlorine and chloramine must be removed from water used in toad terrariums. Liquid preparations are simple to use and very effective. Toads are carnivorous and stimulated to feed by movement. The one surprising exception is the Marine Toad. In Costa Rica, I came to know one huge individual that would visit our field station each night. After pushing open the screen door, she would eat table scraps that had been left for a dog! A highly-varied diet is essential. 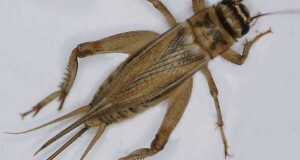 Crickets alone, even if powdered with supplements, are not an adequate diet for any species. The following should be offered to tiny species such as Narrow-Mouthed Toads and to newly-transformed individuals: fruit flies, 10 day old crickets, springtails, termites, flour beetle grubs, aphids and “field plankton” (insects gathered by sweeping through tall grass with a net). In addition to crickets, earthworms (one of the best foods for most) roaches, sow bugs, waxworms, butterworms, silkworms, houseflies and other invertebrates should be provided. Insects should themselves be fed a nutritious diet for 1-3 days before being offered to your pets. Many will accept canned grasshoppers, snails, and silkworms from tongs. Please ignore the You Tube videos of Marine Toads consuming mice. Even in rodent-rich habitats, wild Marine Toads feed primarily upon insects. While a very occasional pink mouse will do no harm, furred rodents should never be offered. Food should be powdered with Zoo Med ReptiCalcium plus D3 or a similar product. Vitamin/mineral supplements such as ReptiVite may be used 1-2 times weekly. Hey Frank, I too am an avid toad keeper and was wondering for some more info on my Atelopus. I currently have 9 Atelopus (7.2) and am having difficulty finding information on breeding them, have you ever worked with these or know someone that may be able to help? 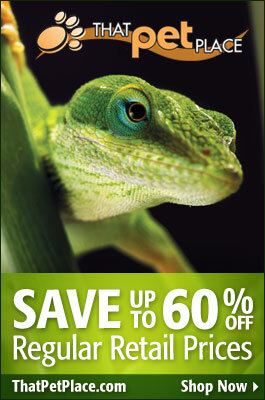 I worked with them at the Bx Zoo, but breeding was sporadic back then. Here’s a two part article on their natural history and conservation. Hello again Frank, I have a quick question, every year me and my family go camping in Hither Hills State park on Long Island. This is a park consisting of the saltwater marshes and beach, very year we find an alarming quantity of American toads there at night, no more than 100 ft from the shore, which makes me think that they may be salt-water tolerant, is this true? There is no other direct water source in the area. Thanks for bringing this up, very interesting situation. I know the area…they are Fowler’s Toads, Bufo (recently changed to Anaxyrus) woodhousei fowleri; very similar to Americans, and can interbreed. American toads are not found on LI; always a chance of introductions, but Fowler’s are well-established in the area you mention. They breed in temporary pools of rainwater that form in spring…transformation of the tads is very quick, usually before ponds dry out. I’ve found them in ponds on beaches that are sprayed by salt water (Jones beach, Montauk) and they also breed in the upper reaches of salt marshes…likely some tolerance of brackish, but not pure ocean, water; in other habitats, American toads breed in brackish water also…unusual for amphibs. At Jamaica bay, Fowler’s toads hunt isopods among dried seaweed at the high tide mare!…the summer conditions on LI beaches are desert-like…tough little animals. Good to have some field guides on hand when you go there..many interesting birds and herps, mammals not found elsewhere on LI…blue spotted salamanders, short-eared owls, mink. Some snapping turtle populations on LI have specific adaptations to brackish and even salt water…excrete salt, etc…you can see them in the tidal creek at Sunken Meadow, along with Diamondback terrapins. Probably Montauk area also. Eastern mud turtles are there as well…also well-adapted to salt marsh conditions. Hi Frank do you have any care info for bufo japonicus ? Great animals…hard to find here in the US; are you keeping them? I spoke with zookeeper friends last time I was in Japan… they can be kept as are American toads; please see this article. Thanks for both the replies! American and Fowlers toads can be distinguished by their cranial crests, fowlers toadss touch their paratoid glands:) just found it interesting the whole situation especially since that area sees quite the extremes in weather. Hello again Frank, I am an avid toad keeper as yourself and was wondering if you knew about any of the more uncommon toad species available in the US hobby. Availability changes rapidly, so it’s best to keep an eye on kingsnake and the larger Fla importers that do not advertise there. I do not have any direct contacts, but will keep an eye out . Thanks Frank:) I saw on one of the DB that you might be writing an article on Atelopus? If you need any pics I have lots, I have 14:) just recently got 2 more females! Hello! I am leaving for camingp soon, (in three weeks,) and I am wondering if I can keep my toads at home for six days. They are fat and healthy. Think they could survive without food and water? I am planning on putting rolly-pollies in the cage before I leave so that they will have some food. Also, everyone in my family will be gone and there is no one who could watch over them. It’s risky…food is usually not a problem, and establishing sowbugs in the terrarium should work well. Best to provide several water bowls, as soaking in 1 for 6 days will expose them to high ammonia levels. Be sure the substrate is moist also. Oh, I also have a problem. At the campground we go to a lot, there is a pond that is used for swimming. They cholornate it. I see many toads there mating, then their tadpoles die. How do I keep the toads away from there without paying any money, and that would not go against what the park wants. I am so glad I came across this site! I found so much helpful information. I recently found an adult American Toad with a missing eye and decided to keep him. My husband and I did our research and got him a large, low naturalistic terrarium with ecoearth and moss for substrate and named him William. Then I found another one who my neighbor accidentally ran over with a lawn mower and cut his front leg off. We named him Stumpy. I’ve given him regular baths in dechlorinated water, pedialyte to stay hydrated, and turtlefix. He’s been doing well, its been about 3 weeks and he seems to be adjusting to his missing leg. However, both seem to really struggle with eating crickets. They chase them but just have a hard time catching them. They eat mealworms but I know they need more variety for their health. What can I do for these sweet babies?? Please see the attached articles for some ideas on other insects you can buy or collect. Avoid mealworms..linked to intestinal blockages and other probs; crickets should be fed for 2 days or so prior to use, and powdered with supplements mentioned in article. Thank you. I have heard of the dangers of mealworms and was hesitant to get any, but with them being unable to catch crickets (which I have been gutloading in their cricket keeper), and lack of interest in flightless fruit flies, I was afraid they might starve. I wish I could let them go because wild animals should be wild, but I fear they won’t survive on their own and both local wildlife rescue centers said they wouldn’t take common toads. Catching bugs is not a good idea for me as most of our subdivision uses a pest control service and I would be too worried that the bugs had come into contact with those chemicals and harm the toads. The pet store I go to has mealworms, superworms, wax worms, nightcrawlers, crickets, and red crawlers. Hello, Frank. What info can you give me on albino woodhouse toads? Hi, I have a female American toad, and I have some questions on her diet (I just emailed this to you!). She’s set up in a 10-gallon with coconut husk/sphagnum moss, a pool, a live plant, and a buried cave that she hides in. I’m currently feeding her superworms, Madagascar hissing roach L2/L3 nymphs, and crickets, and will probably be adding in some waxworms and a colony of isopods. She hates earthworms and won’t even eat the wiggly ones, but I wanted to know how to train her to eat from tongs. I’ve been feeding her in a separate cage to prevent the feeders from escaping or burrowing, as her reaction time is pretty slow, but tong feeding would make the process less stressful for both of us. Do I just repeatedly offer food on tongs, or only offer it on tongs until she takes it? Thanks for posting your email here, Nicole. Watch coconut husk with the toad..it sticks to insects, may contribute to impactions; sphagnum is usually fine, you can add dead leaves also. Avoid supermealwoms, and use waxworms sparingly. I’ve never known one to reject earthworms, but some species are distasteful…these usually have dark rings around the body, often sold by bait/pet dealers. Keep it hungry and it will take other types of worms if available, and will usually tong feed also – long fasts fine, they store food and regualte metabolism to meet situation, so don’;t worry about doing it any harm. You can also sink a deep feeding bowl into substrate to enclose bugs…toad will enter or eat from above. Some feed if moved to a bare-bottomed bucket…put a shelter in for the toad at first; most adjust in time. Isopods excellent. I have found my precious little fat Albino Woodhouse toad to be extremely receptive to me and very sweet. He obviously also has very poor vision and I have to handfeed him (which we both love). He is sensitive to light and has sensitive skin compared to non-albino toads.He is very active and always up and about, never buried or in any of his hiding places. He is the best pet toad I have ever had. Hello i have a pet red spotted toad and I needed your help because I donut know how to feed it. I tried ants but it cant eat it and i cant go to the pet store so what should i do? I have one more question my toad is a baby so should I feed it smaller bugs? because I have ben feeding it red ants one at a time and it seems to be eating it but if this is bad would you mind helping me out? So glad to have this forum! We spent a week in June in Costa Rica on an adventure travel trip — and when we got home, we had a stowaway in our damp laundry bag. I can send you a picture, but he appears to be a young toad (mossy green/brown color). We bought a habitat and have been feeding him crickets with Reptivite. I’ve followed the forums, and I think we created a natural looking environment for him. Since we don’t know exactly where he hopped in, I haven’t been sure what the ideal temperature or humidity level is. Just to be sure, I’ve been misting the habitat once a day (dechorionated water of course). Also, he spends the bulk of his time burrowed in the substate and is sometimes not seen for a few days. It’s very possible he sneaks out at night, but I looked him over tonight and he looks good (and when he does emerge, seems to eat well). I’ve never caught him in his water dish, but again, he might be going in at night. Is any of this normal? Any advice would be helpful since I can’t seem to ID what he is exactly. Thanks! Wow, he sure traveled a long way from home. I’m glad to hear that you are keeping him instead and trying to make him a naturalistic habitat. Would you be able to post a detailed photo of the toad?Costa Rica is my absolute favorite place in the world, my wife and I spent an amazing summer there a few years ago. I’m pretty confident that I could Identify it for you and then provide you with some more specific care information. I’m so excited! I uploaded a few pics to Flickr. The one in the bowl was a few minutes after he hopped out of the bag. He’s bigger now, guessing we have a youngster. He burrows for days at a time, but seems OK. Any suggestions would be really helpful, we really want to keep him going. From those pictures it looks Bufo marinus, more commonly known as the cane toad. They are native to central and south America, but have been introduced to Australia and the U.S. in a misguided attempt to combat the negative effects of the cane beetle. Due to their insatiable appetite and the very powerful toxins which they secrete when threatened, cane toads have become a very serious problem for native wildlife in these areas. All of that aside,they are very hardy animals and can make very interesting pets. If you follow the basic care information that Frank has provided in the article you could have your little buddy for 15 to 20 years. He won’t stay little for very long, a cane toad can attain a weight of up to 4 lbs. Eventually you will want to house him in something about the size of a 40 gallon tank. It should be noted that the toxins secreted from the toad’s pores can cause serious poisoning if ingested, and can be fatal to a dog or cat. Try to keep handling to a minimum, and always wash your hands very well afterwards. Hi there. I’m new to the desert, as my boyfriend and I just moved to Arizona. When hiking in the Superstition Mountains we came across (what appears to be) a baby Red-Spotted Toad. We decided to keep it but I have many questions. Does it require UVB radiation because it is a desert species? How much water should I have available for it to access? It has shown no interest towards the cricket I put in it’s enclosure, so what small live insects should I be giving it? What would be an ideal habitat for the little guy? If you have any additional knowledge of the species, that would be very helpful! I’ve done as much research as I can online but you seem very knowledgeable. Thank you so much! I would aim to set up your toad’s environment pretty similarly to the area that you found him. Make sure that you provide a few hiding areas, for Substrate I would probably use a 50/50 blend of eco earth and calcium sand. Even though he might not have it every day in the wild, You definitely want a water dish in there for him. 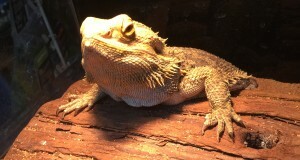 A heat lamp would probably be necessary so that he has an area to get warm. Although they tend to hang out in the shade, I would still use a 2.0 UVB for him. He should show some more interest in food when if his temperatures are up a little higher. Get a good digital thermometer so that you can be sure that he has a spot which is about 90 degrees. Hi, I have a youngish male fowler’s toad, obtained because he was almost freezing to death last fall, he successfully bruminated and seems to be thriving on a diet of gut loaded superworms, dubia roaches, pillbugs, teal hornworms(raised on repashy), waxworms, and the occasional small nightcrawler. He refuses to eat anything dusted with calcium (spits out and madly wipes at his tongue). Is there anything else I should try feeding him to ensure higher vitamin intake? I was going to try redworms, but have read they may be toxic (fetida). I’m also wondering since he seems kind of sad, and is always wanting out, if I should get him a friend? And if so would a regular female American toad of the same size be a good cagemate, or should I try to get another fowler’s when they emerge (there’s tons where I work, but I can purchase a CB American)? I was going to release him, but I’m unsure if he’d Survive now that he’s used to being fed (I have a separate tank for feeding because I’m paranoid about him swallowing substrate, or his food getting “lost”), plus I’m quite fond of the little guy.